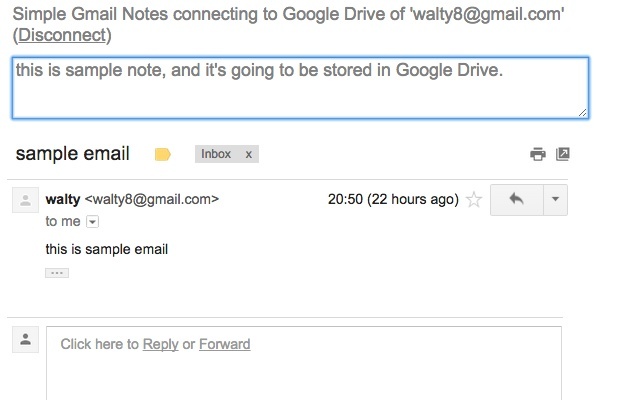 For a long time, I wanted a browser extension that allows me simply add notes to the Gmail. It is because I need some easy way to mark down the comments on the resumes of candidates, Sometimes they would send the resumes across a long time span. Of course I could mark down the notes on evernote, but it’s time-consuming and difficult to have an organized list of comments overall candidates, most of which I would not review for the second time. 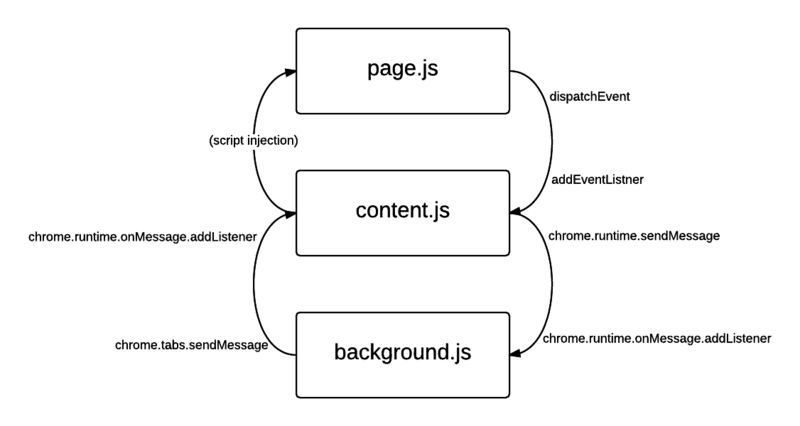 There are three types of scripts involved during development Google chrome extension. The naming could be arbitrary, here I used the convention inside the Google documentation. background.js: An invisible background page lives as singleton. 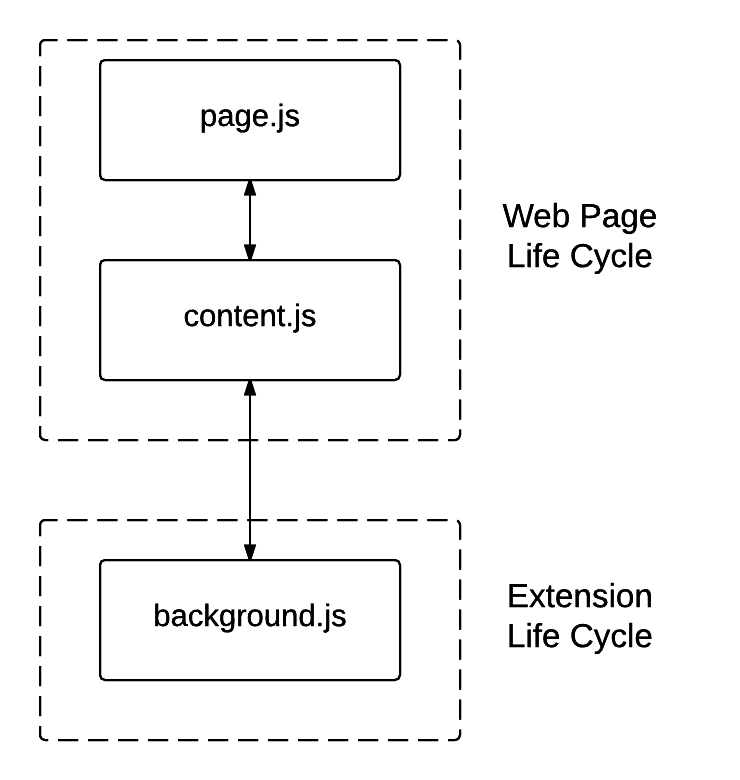 It exists during the life cycle of the extension, i.e., the initialization is called when the extension is installed, or when the browser is launched. All tabs of browser share the same background.js script. It means it would not hold the state of the page specific content. It has the full access of a special chrome object, which exposes some special API provided by chrome, e.g. launchWebAuthflow). It could not touch the DOM of the pages. Use console.log for the message logging. Go to chrome extensions page (<chrome://extensions/>), check Developer mode, under the item, click Inspect View: backgroudn page, and you would see the messages for the background.js and content.js. Google provides some simple ways to do OAuth from Chrome, yet it’s less flexible, and requires login of Google Chrome browser. Finally I decided to use launchWebAuthFlow for the authentication. It’s mainly used for 3rd party OAuth application, but it also supports the OAuth of Google itself. After all Google OAuth also complies to the standard OAuth protocol. Note that login_hint and prompt are OAuth standard parameters, and could not be found from the Google documentation. By default, the tokens collected from Google OAuth would last for only 30 minutes. That means the user would need to log in every 30 minutes if they want to continue to use. In reality, the things would be probably better since there is caching, yet the prompt would still appear from time to time. So, we need to get an offline token, which could be used for a long time (no limit of time). The mechanism is a little bit complicated. We need to use launchWebAuthFlow get a code first, and then use the code to get an offline token and an access token, and finally we use the offline token to renew the access token after 30 minutes. Note that only the access token could be used for the final access. Google chrome extension does not provide direct API to access the Google drive. However, since all Google Drive API and REST API, we could actually use jQuery ajax to send requests and interact with Google Drive. The documentation is a little bit tricky, they provide the Http Request documentation, and a lot of samples of programming calls (Python, PHP, java, etc..), but there is no direct ajax call sample. And if you follow the sample of Http Request directly, there are could still be problems. For example, they did not mention where to put the tokens during the access. As one could see, there is a header of "Authorization": "Bearer <access_token>", which is not mentioned by anywhere Google Drive API. My guess is it should be part of OAuth protocol. More details of other Google Drive API access could be found in the source code. Publish flow on Google Chrome store is smooth in general. (Need to pay 5 dollars for the initial set up though). The only part that frustrated me is the icon looks very bad inside the listing page (search result page) of chrome extension. Instead of using the promotion image I provided, they actually just used the app icon (16×16) and enlarge it. One may imagine how bad could that be. And it turns out that the promotion image needs to be manually approved before it could be seen on the listing page. You can’t check the review status from the site, but you could send the email to cws-assets@google.com for the query. Another problem with Google Chrome store is that they sort the result based on historical order. One week after my app was uploaded to chrome store, when I search the keywords ‘Gmail Notes’ in the store, the first two extensions failed to work at all, and the third one is a malware (as mentioned in the latest comments). However, since those apps used to have a good user base, they still have a very high ranking despite enormous bad comments in the last few months. And apparently there is not much you can do with that. Right after I launched the app, I also published the source code to github (the app is under GPLv3). It turns out the GitHub could import source code from subversion, and keep the commit history. But one thing surprised me, when I do further commit and push to the git repository, GitHub uses on the system configuration of user.email and user.name for the author identity, instead of my GitHub login information, though I need to provide the authentication every time I try to push. That means people could actually push the code on behalf of some others? Hi I just read your post. Thank you for writing it. I am amazed I didn’t know you could write code to cread add ons for gmail. Very interesting and thank you for being so clear. So, the question is: you can develop anything for gmail, create the add-on, share with the world (if you want) and there is no problem / restriction? 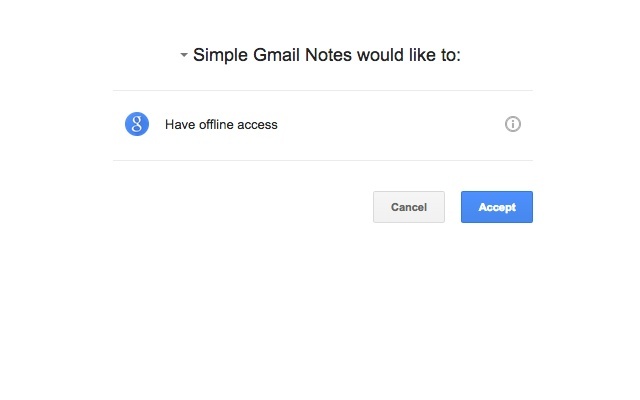 So actually you can automate or create anything for gmail…which means it is going to help a lot! (if you know how to program). I would highly appreciate an answer. Theoretically, you could do anything with Gmail with all the API. In fact there are some extensions outside that could send out the emails on your behalf. However, you need the consent from the user before your extension could mess around their emails. Hi, thanks for sharing. There is very sparse information on some of what you covered and you github repo was very useful to peruse. I have a question for you if you have time to answer. I, like yourself, did not want to use Chrome login to authorize and as well went with using ouath2 through launchWebAuthFlow. I have, however now it a snag in the process. After trying to adjust the extension app in the google developer console, I found it did not allow for a callback uri for extensions, which means I could not complete authorization. I worked around this by creating a new credential as a standard web app and listed the extension uri as the callback. This worked great generally. However, I receive a warning that the app is not verified by google. I have now filled out the google verification for oauth2 apps but was rejected because my client_id was deemed invalid or deleted, which it is not. Appreciate any insight you could give. Thanks! I don’t know if you noticed that, but Hover Zoom is not a good friend . Why?. Well, if you mouseover the thumbnails that appear as soon as a video ends, Hover Zoom will not open the thumbnail picture, it will open the VIDEO (with sound included)!! so you don’t need to enter each one of the 9 suggested videos, you can watch them right there though.